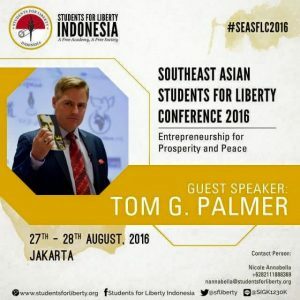 Announcing the Inaugural South East Asia Students For Liberty Conference! 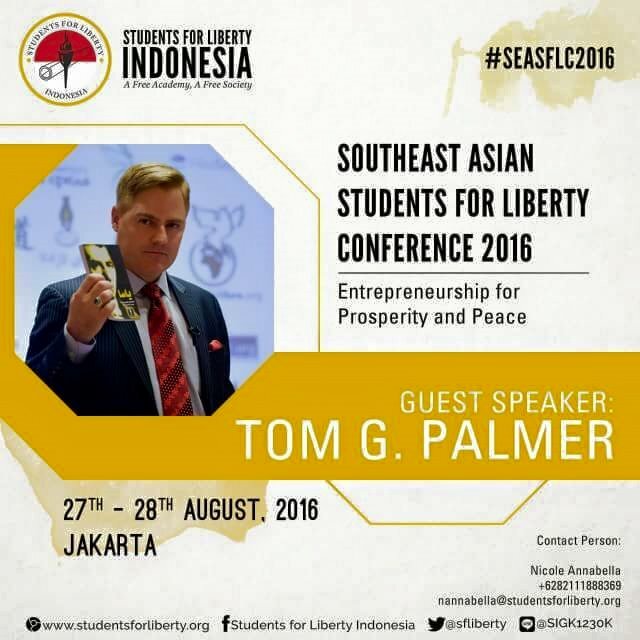 Students For Liberty are excited to announce that our first ever South East Asia Conference will take place in Jakarta, Indonesia from August 27-28, 2016! This conference represents a landmark moment for SFL’s international growth. Students For Liberty believes that educating, developing, and empowering the next generation of liberty-minded students in South East Asia is a vital step towards creating a prosperous, free society in the region. Confirmed speakers include renowned author and activist Tom Palmer, Rainer Heufers (Founder and Executive Director of the Center for Indonesian Policy Studies), and Azrul Mohd Khalib (External Relations Manager at the Malaysian IDEAS think-tank). This is a huge opportunity for SFL Indonesia to leverage their recent growth. They started small (with less than three Charter Team members) and now have over 20 students working to put this conference together! Currently, they have secured 50% of the necessary funding to run a successful conference. However, their grant money is running low, and they would be extremely grateful if you are able to support our effort to make our first ever South East Asian SFL conference happen! Any donation, no matter how small, will help our volunteers to spread the ideas of liberty in the region. Donate here! The goal of this conference is to bring students from all over South East Asia to exchange their experiences, learn the ideas of liberty, and energize the leadership of the pro-liberty movement in South East Asia. This event will be a massive celebration of freedom.